Great leisure battery in terms of physical size. The only battery that will fit in the box in my Conway Countryman trailer tent. Fast delivery - 48 hours from making the order. Dispatched from Belgium. Excellent service. Kept me informed when delivery would be and battery arrived in time frame. Well packaged with good instructions. Would buy again from Tayna. 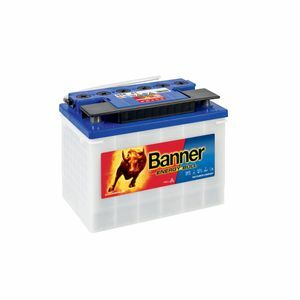 Only battery that fits my camper van. Does the job! I needed a low hight battery to fit under the bunk on my boat. Its ok but the white casing seems very weak and flexible time will tel. The order and delivery was first class. Excellent product, purchased to replace an existing Leisure battery which has provided years of excellent service and only failed due to me leaving it flat over the winter. Excellent product, prompt delivery and service. Packaging and delivery was all that one could hope for, excellent. I have not had the chance yet to really test the batteries but I have no doubt they will do the job. thank you for such good service. Very good service. battery arrived next morning.